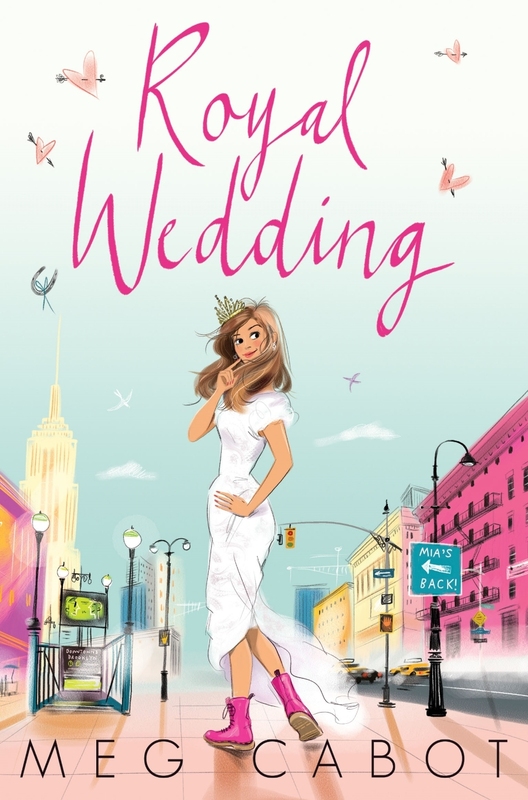 For Princess Mia, the past five years since college graduation have been a whirlwind of activity, what with living in New York City, running her new teen community centre, being madly in love, and attending royal engagements. And speaking of engagements, Mia's gorgeous longtime boyfriend Michael managed to clear both their schedules just long enough for an exotic, and very private Caribbean island interlude where he popped the question! Of course Mia didn't need to consult her diary to know that her answer was a royal oui. But now Mia has a scandal of majestic proportions to contend with. Her grandmother's leaked 'fake' wedding plans to the press that could cause even normally calm Michael to become a runaway groom. Worse, a scheming politico is trying to force Mia's father from the throne, all because of a royal secret that could leave Genovia without a monarch. Can Mia prove to everyone, especially herself, that she's not only ready to wed, but ready to rule as well? Twenty six year old Mia is no longer the awkward and gangly teen, she's the young, confident woman who's very much in love with childhood sweetheart Michael, while juggling her role as the Genovian Princess. Staying at the Genovian Consulate in New York, Mia's father the Prince is embroiled in another scandal, this time involving a sports car and an effort to woo back Mia's mother. The paparazzi have ensured the royal family are trapped within the confines of the Consulate, while they continue to speculate why Michael has yet to propose to Mia. But Mia has more pressing concerns. Her father is harbouring a secret that threatens to blow apart the Genovian empire, that even a royal wedding may not be able to overshadow. Remember dorky, frizzy haired, goofy, monobrow Mia Thermopolis? Mia is now twenty six, living life as a princess and dating childhood sweetheart Michael, who now owns his own multimillion dollar empire. The Genovian princess is stuck at the embassy, with rendezvous between her and Michael too few and far between. Political tensions are high, with neighbouring refugees trying to seek refuge within Genovia and a rival wanting to take the title of Prime Minister. Mia has never quite come to terms with the pressure of being a royal, and none more so when her father plunges her adopted nation into chaos. A nervous tick, a therapy journal and an overbearing grandmother later, Michael is about the pop the question. And about time. Jet? He's hired a private jet? Who does he think he is all of a sudden, Christian Grey? I am not okay with this. I'm not some shy virginal student who only owns one shirt. Mia is incredibly funny. Considering the chaos that surrounds the Genovians, her inner thoughts are still sharp, sarcastic and the same insecure and nerdy Mia that readers had fallen in love with. But a huge family secret throws a spanner in the works and Mia refuses to sweep it under the rug. In Royal Wedding, the wedding in fact plays a very small part to the storyline, but more so the secret her father has been keeping from everyone. And it's a doozy. The storyline was a little thin in places, the political turmoil that faces Genovia felt more like filler sadly. Apart from a quick island getaway, the majority of Royal Wedding is set within the Genovian consulate. Fans have been waiting for the day Mia weds, but there was no pomp and pageantry which I was looking forward to reading. As much as I did enjoy it, I have a feeling it might have been an introduction to a new spin off series. I'd love to see it come to fruition, as sadly The princess Diaries seem to have run it's course. I thoroughly enjoyed it. It was a delight to see Mia as a young woman who is still the same dorky, goofy teen underneath her role as Princess. You don't need to have read the first ten installments in The Princess Diaries series, but it certainly helps if you've seen the first film adaptation The Princess Diaries to learn Mia's back story. I actually haven't read any Naban, but actually liked both films in that cutesy kind of way. If you're looking for a lighthearted read, this really was lovely and fluffy. I read the whole series when I was younger so even though I'm over it I see that you liked it so I WILL READ IT even if it's been a long time. What's wrong with digging up dead things and making them live again? It's actually a really nice read Heather, but I think with the introduction of a new character, fans might be calling for that spin off series, especially now with Mia being an adult. I hope so. That's a bummer there isn't more about the actual wedding, but I still want to read this. It sounds like a lot of fun and I DO love Mia's voice. Me too Lauren. She's so incredibly snarky and funny, having lost none of that personality now that she's older either. I just wish there was more wedding and less filler. I want to pick this up, but unfortunately, I've kind of outgrown the series. I remember when I first read the books years ago, and now the author seems to be making another spin off, just puts me off a little. However, I'm glad to see that Mia is still as sharp, sassy, and witty as I remember her! I think Mia's story is pretty much complete now, and this read more as a series closure, and a segue to a new series surrounding the Genovian royals as well. It's worth the read for fans to say goodbye to Mia though, wow, it's been a long series though hasn't it. Oh, I LOVED Royal Wedding. The lack of plot didn't worry me at all, lol, I just love Mia so much :P But yeah, certainly seems like there will be more books to come! I hope more of a spin off, rather than more Mia. As much as I love her character, I think there's only so much fluffiness that you can add though. I'd love to see this new character (trying not to give too much away) in their own series. It would introduce The Princess Diaries to a whole new audience. I've never read the books, nor have seen the movies. Tell me, am I missing a percentage of my life by not reading these books? Not really Joy. the movies are fun and watchable, but can't speak about the books other than this one as I haven't read them. They're just great, fluffy fun though. I've only read the first three books of this series, and didn't think I'd read anymore because I didn't really like Mia all that much. I'm so glad she ends up with Michael though! I may just start reading this series again just for that :) Great review, Kelly! Thanks Marianne. I haven't read any apart from this one, but having seen the movies I did really enjoy it. I have a feeling it's also more of an introduction to a new series surrounding the same family, so fingers crossed and we'll have to wait and see. I am ashamed to say that I've never read any of the Princess Diaries books... But I have watched the movies! And I ship Mia/Michael so hard it hurts. It's awesome to hear that Mia's still her charming, dorky self in this--seriously, that quote you featured pretty much won me over! Me too Aimee, and I've only seen the movies as well. I love Mia's inner voice, she's still the same dorky teen, and her snark is better than ever. Lovely review. I read some of the books when I was younger and was super psyched to hear about this. I will pretty much read anything that Meg Cabot writes! It was so well written, it was just the plot line lacked a little more action. I've got my fingers crossed that a spin off series is in the works. You'll adore this one Sarah, it's certainly for the fans. I've never read any of the books but recall that my niece (now 19) was into the movies. Wasn't there a second movie? I thought Mia ended up with someone else... or perhaps there's a departure from the books with the movie!? There was and if I recall correctly, she did, but I think there was a last minute change of plans and then she didn't. Hmm, interesting thought and I have no idea. I assumed the books were just the adaptations of the first few books thrown into one. Me too Eugenia, and you really don't need to have read the others to enjoy this one. I was really hoping for more pageantry with the wedding, but felt as though I was strung along only to have it mentioned almost in passing sadly. She hasn't at all, if anything, her snark has gotten even better. Even not growing up reading the series, seeing the movies though, I had no trouble following any of the storyline which was a relief. I just needed more wedding really. Looking forward to seeing what you think of it Joy. I liked this one because I missed being inside Mia's head, but I completely agree. With all the fuss about the wedding, there was very little about the wedding itself. I also wanted to see more of her with Michael. Still, it was okay for me, but I understand where you're coming from. YES! I felt exactly the same Nick. I did enjoy it, very much so, but the romance I was looking for wasn't there apart from the quick getaway. I expected a bit more, given her age and the title of the book. I like Meg Cabot's adult books, and the All American Girl books, but have never read the Princess Diaries. Loved the film though, so might give this a shot. I love the quote about the jet, sounds like a fun read. I haven't read any of her books before that I can remember, but may try her adult releases. Even though due to Mia's age it was classed as New Adult, it read like a young young adult book. I suspect mainly due to the age bracket of fans. She's still really snarky and fun. Her endearing personality is what really saved this book for me. I have this one for review and still haven't gotten around to reading it but it sounds like so much fun! I totally loved Mia from the movies so I shall start this one soonish! It's a lovely quick read poppet and Mia from the movie adaptations is exactly the same dorky Mia as an adult too. Looking forward to seeing what you think of it. I had a vague idea, but had never read one before this, only having seen the films. The beauty with Royal Wedding, is that you don't need to have read the book series to enjoy it. And thankfully too, with ten books before this one, you'd be binge reading for the next month. Would it be too much to ask if we ask for a reboot of movie, start from scratch with a young actress, and them make movies OF ALL THE BOOKS ala Harry Potter style? PLEASE?! In any case, I'm glad to see that this series is still ongoing, although maybe a finale is in order now. Sorry that it quite missed the mark! Ooh, I'd love that too Faye. Even though Anne Hathaway seemed perfect for the role, any further movies (which I'd heard they were looking at making) she'll be far too old to play the part now unless it's set within the same time frame as Royal Wedding. I had no idea the films were also produced by Whitney Houston, just a bit of mindless trivia. If I had read this series, I would have been excited for the wedding too. It seems it was pretty underwhelming though. It's a shame to see all the political problems being filler :/ I think maybe there were just too many books... Lovely review! I think so too Rachel, just going by the lack of real storyline in this one. It was good, but not great sadly. And as much as I enjoyed it, I can't see anywhere for this series to go now really. I have a feeling a spin off series might be in the works though. I admit to having never read Princess Diaries, my only exposure is the movie version. But this one sounds charming and funny. Perhaps I need something of the kind after reading all these gory war-filled scifi haha. Mine too Aentee, but it still didn't detract from being able to enjoy the overall read. I picked up the story from the first few pages, and although Mia is significantly older, she's still the same dorky girl from the movies, which was a relief. It's a lovely, fluffy read overall, I just needed a bit more substance within the storyline. Nice review, Kelly! I used to be obsessed with the Princess Diaries movies and I think I stopped reading the books after the fourth one (maybe?) but I do remember them being a bit different. I enjoyed both, though. Too bad the wedding wasn't everything you expected, I think I would have been a bit disappointed as well. I can't believe this is the eleventh book though! Time flies. Thanks Alise. Yeah, I had no idea there were so many books in the series. I loved the movies too, so I expected a lot from this one. Although I enjoyed it, I expected more and wanted more of Mia and Michael and less storyline fill. Yeah, I liked seeing Mia all grown up and hearing her thoughts again but the slow storyline was very apparent for me. I'm glad I could delve right in after only reading the first 3 books when I was young though! Lovely review Kelly! It was for me too Jeann, a lot of it felt like filler and perhaps to introduce a new series. I was hoping it to be more Michael and Mia and the preparations for their wedding, but sadly it felt more like an afterthought thrown in. It was super easy to read though and still was able to enjoy it for the most part.